Here is a great piece of gold with wonderful character. 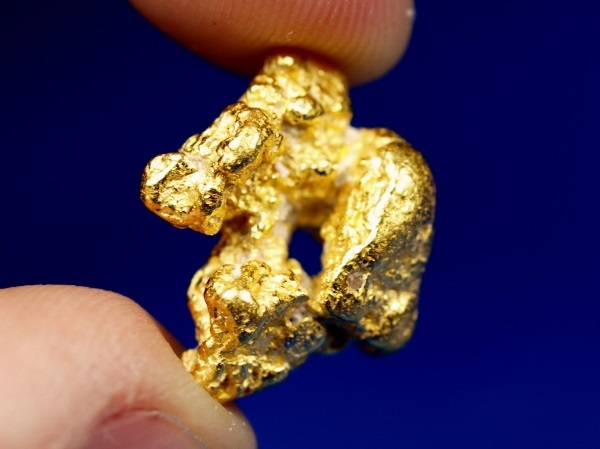 This nugget was recently mined in the Kalgoorlie goldfields of Western Australia. 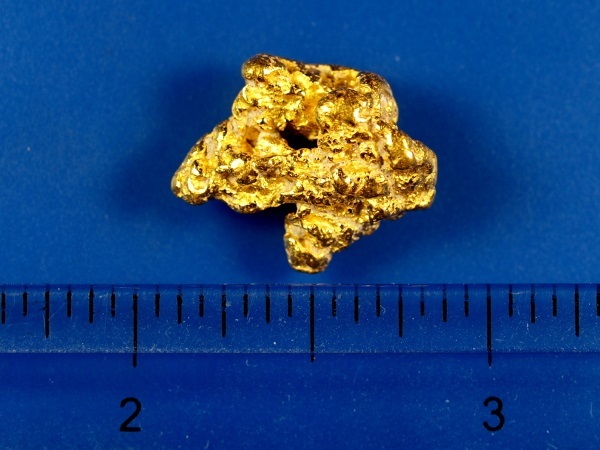 Its a hefty piece of gold and it has a natural hole in it along with a nice texture. 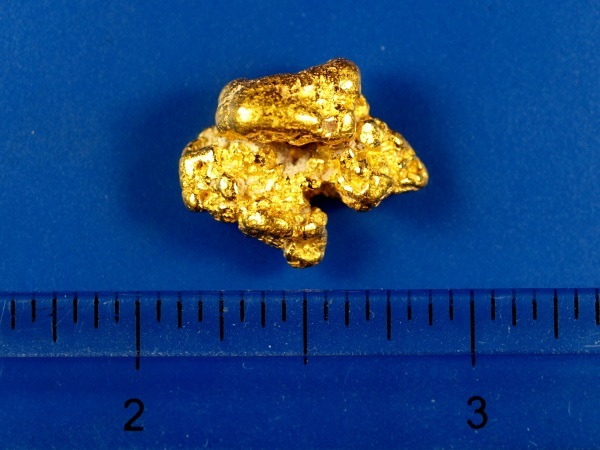 Its total weight is nearly 1/3 of a troy ounce, at 10.32 grams.